Fritz Leiber and H.P. 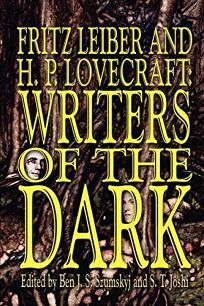 Lovecraft: Writers of the Dark, edited by Ben J.S. Szumskyj and S.T. Joshi, collects Lovecraft's letters to Leiber and his wife; Leiber's short stories and poems influenced by Lovecraft; and Leiber's essays on Lovecraft. Fans of these two genre giants will be in heaven.